Here's a free printable Valentine's Day card featuring an adorable lovebirds graphic from Freepik. 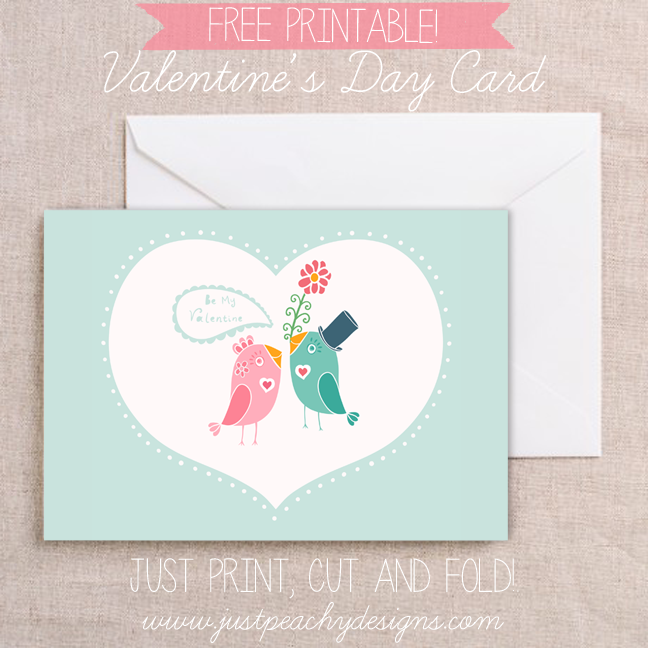 Just print, cut around the lines, fold and ... voila ... a quick, convenient and FREE romantic card for your sweetheart. Just click the image above to download. Happy Valentine's Day! I love free printables (: Definitely pinning this! Thanks for sharing.